Trent Keller, Project Manager in Jonesboro and Robin Austin, HR Assistant Manager spent the day at the Westside HS Career Fair. 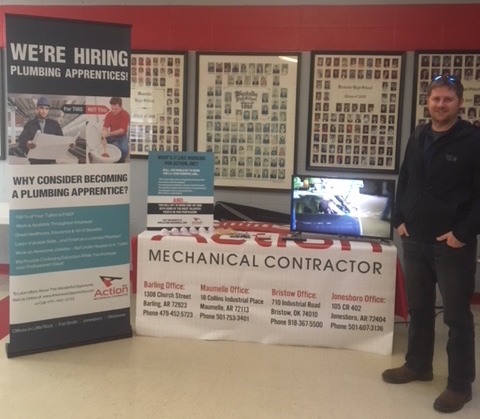 Approximately 700 students attended, asking questions and learning about our Apprenticeship Program and what it’s like to work at Action, Inc. Good times were had by all! We’re looking forward to next year’s event!